The zero-wall mechanism allows you to access the bed function without having to pull the product forward or move in any way to make room. Even if the unit is against the wall you can easily operate the sofa and convert into sleeper. Practically effortless, easy to operate mechanism. Turns into Sleeper in seconds with click-clack technology. 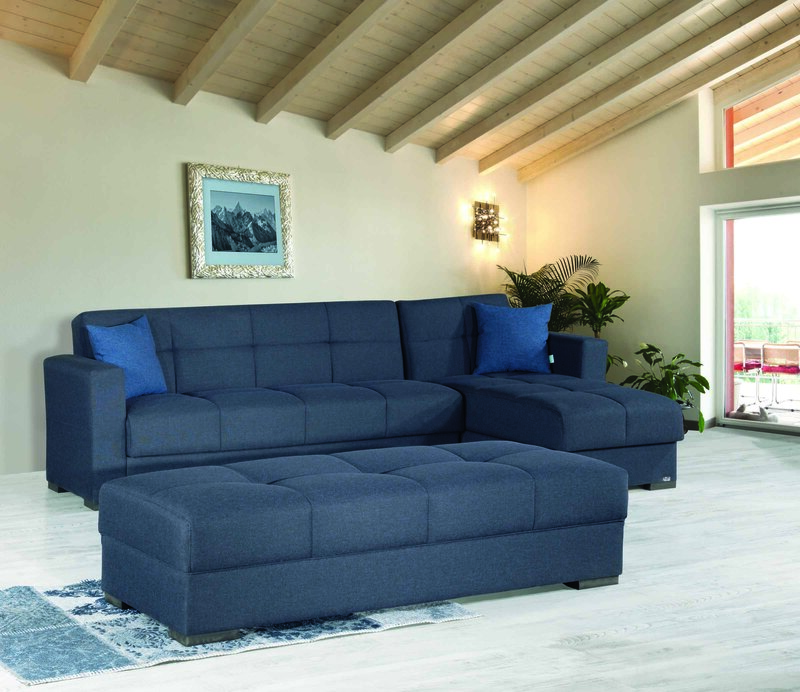 Easy to clean Contemporary upholstery with exclusive tailoring and fine detailing. Pillows are included. Durable and long lasting framework with metal and innerspring construction. Built to last. 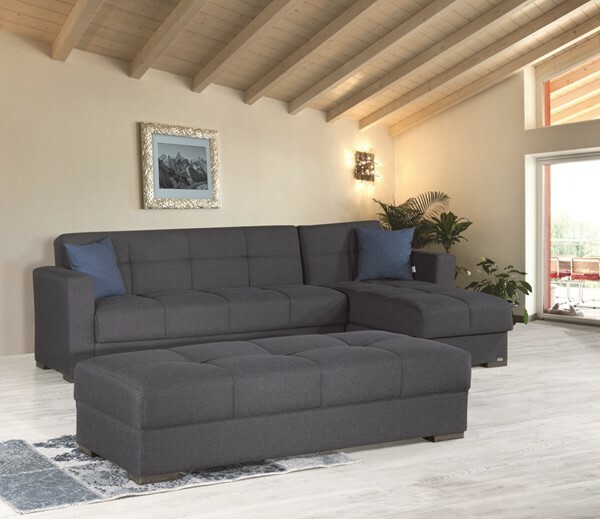 Sectional : 102" x 102"
Ottoman : 70" x 33" x 32"
Clean with a water-based shampoo or upholstery cleaner. Do not over wet. Do not use solvents to spot clean. Do not over agitate the fabric while cleaning.